Mary McLean Mulcahy Iverson led what we in the 21st century would think was a hard life. She buried two husbands and three sons, she lived most of her life as a subsistence farmer. 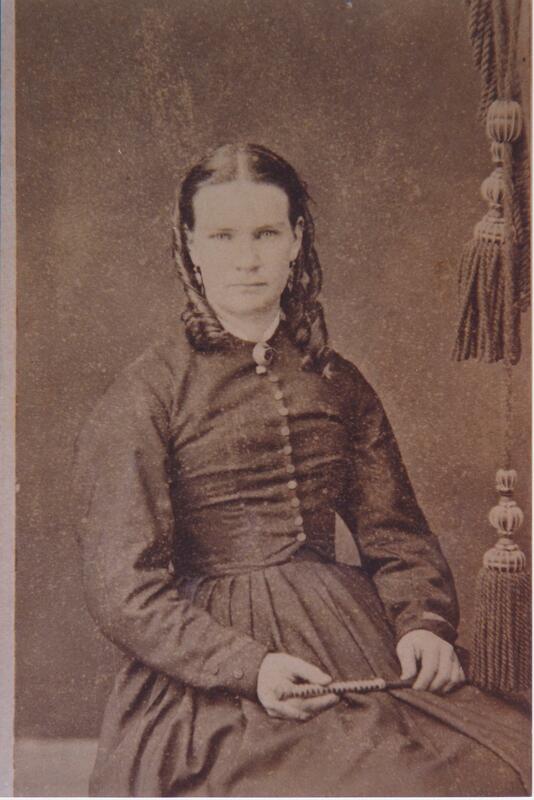 She suffered diabetes in later life and she eventually died of gangrene caused by the diabetes. 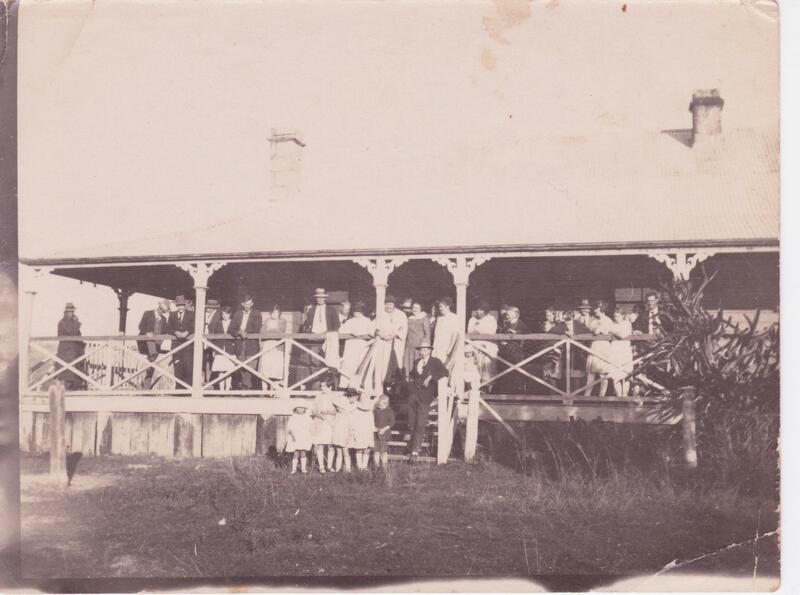 Mary was born at Bonalbo in 1851 and the family moved to Tooloom (both in northern New South Wales) when she was about 13. As was the custom for girls of her time, she helped out at home until she married. Unlike some girls of her time, she probably received some sort of education because her family loved books and reading. She married John Mulcahy, a miner, in 1874. She was protestant and he was catholic but it doesn’t seem to have caused as much conflict in their families as some “mixed marriages” did. 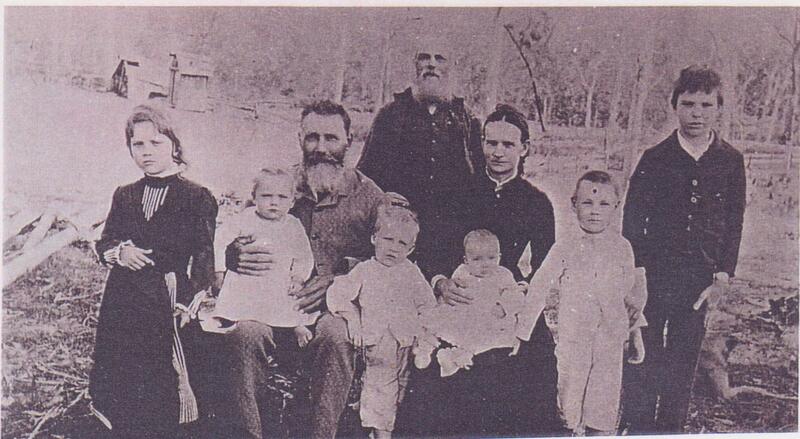 Their four boys were born in 1875 (Jack), 1876 (Hugh), 1878 (Donald) and 1879 (David). 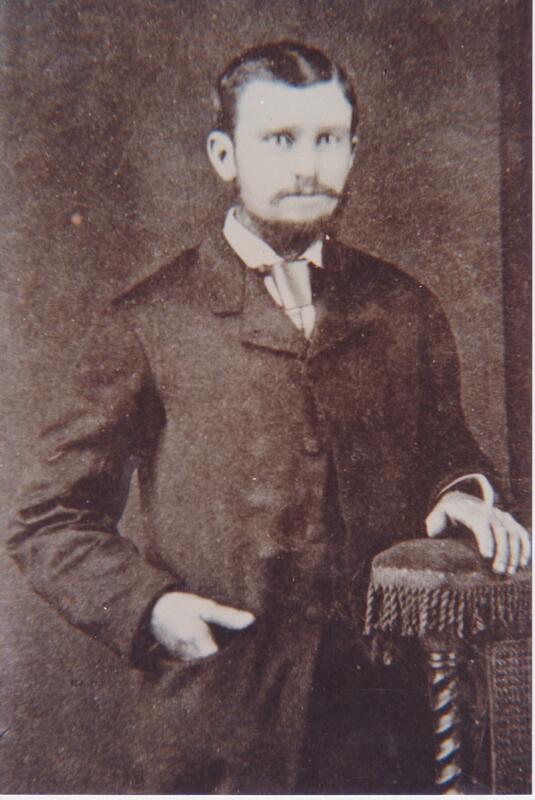 Donald, died in May 1879, only a few weeks before David was born. Then in July, Mary’s husband died in a mining accident and Mary was left with three small boys including a newborn and, if the family stories are correct, recovering from the whooping cough which claimed Donald’s life. Mary went home to her family where her brothers provided strong role models to her sons. After five years of widowhood Mary married Jens Iverson, a Danish seaman, who had jumped ship in Sydney. The blended Mulcahy-Iverson family made a home at “Swallows’ Nest” at Tooloom and over the next ten years Mary bore seven children to Jens. The family’s life there consisted of hard work just to survive. They seem to have been a happy united family but there were more tragedies to come. In 1892 toddler Finlay drowned in a swamp on the family property after following his brothers without anyone’s knowledge. 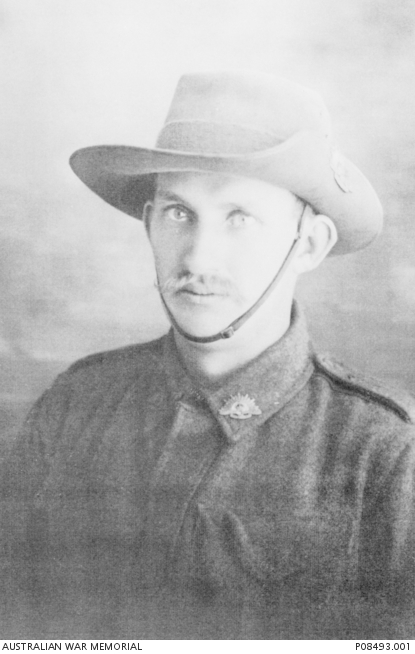 Private Jasper Jens Iverson of the 9th Australian Infantry Battalion died of wounds in Belgium in 1917. Both of Mary’s sisters also lost a son in World War I. Shortly before Mary’s husband Jens died in 1921, Mary suffered a stroke after which she needed a crutch to walk. Around 1930, Mary was diagnosed with diabetes. From this time on she lived turnabout with family members, each taking turns with the daily routine of Mary’s insulin injections. 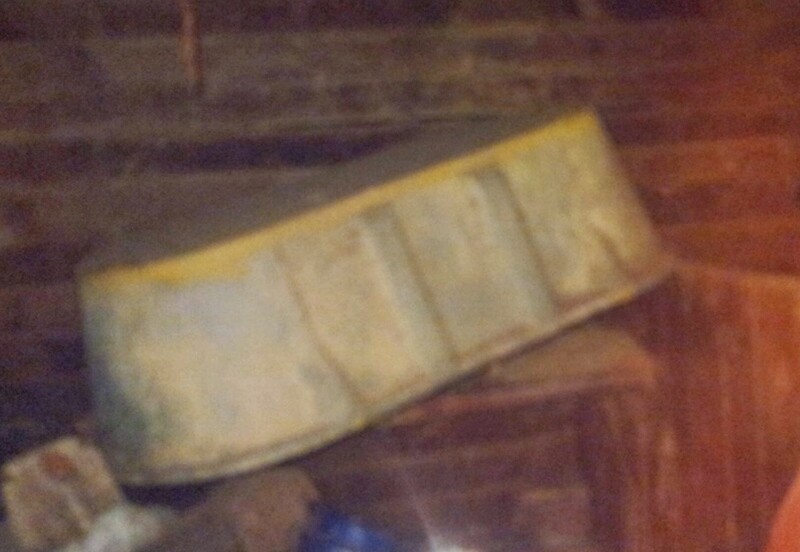 Mary would need to stand on a butter box to get into the sulky whenever it was time to move on to the next house. As a result of the diabetes, Mary eventually developed gangrene and lost her toes. When the gangrene reached her foot, she was taken to Casino Hospital. Her son, Hughie, spent an agonizing night trying to make the decision whether or not Mary’s foot would be amputated to try to stop the gangrene spreading further. He had been told that even if they did amputate, she would probably not live much longer. Hughie decided to tell the doctor not to operate but when he reached the hospital in the morning, he was informed that his mother had passed away during the night. John Payne wasn’t called “Big John Payne” for nothing. The man was 24 stone in the old money which is roughly equivalent to 152kg. He had a special bathtub made for himself because he didn’t fit in any regular one. I believe it is in the Upper Clarence Historical Society’s museum. John was born and grew up in the Hunter Valley where his ex-convict father and child-of-ex-convicts mother had been granted land. 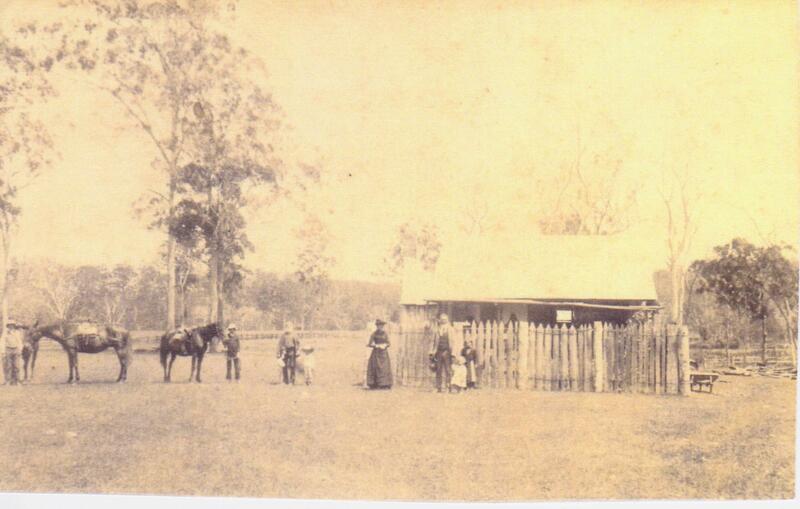 Their house still stands near Wollombi at Payne’s Crossing. He married Mary Ann Sophia Merrick, the granddaughter of four convicts when he was 21 and after a few years and two children they set off north in search of greener pastures or adventure. Over the next decade and a bit they lived in different towns in New South Wales. Mary Ann Sophia died in 1885 in her late forties of a mystery condition, recorded as “tetere grave” on her death certificate. 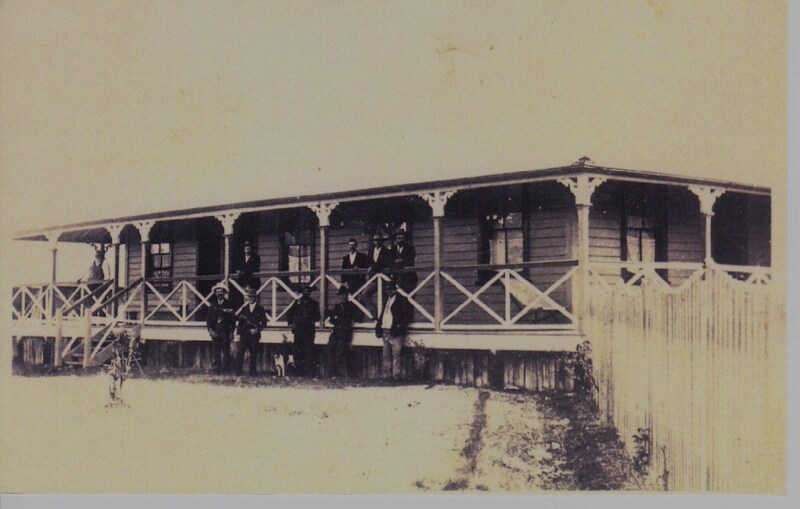 In the next stage of John’s life he moved to the northern rivers area of New South Wales, ran the Australian Hotel in Drake for a while and then opened his own hotel on the Tooloom goldfields in 1894. 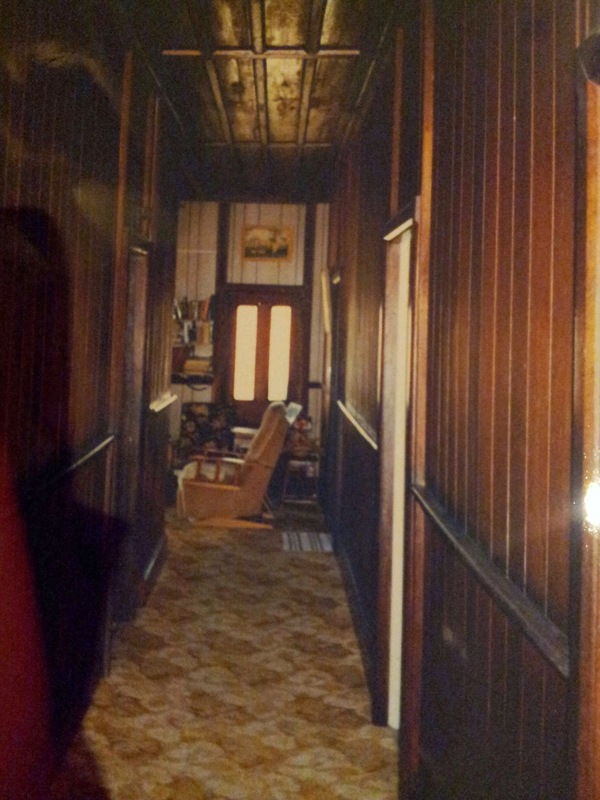 Because John was such a big man, he could rest his arms on each side of the hallways as he walked through the building. He also had interests in a number of goldmines and claims. The best known of these ventures was the “Rise and Shine Gold Mining Company”. Family stories say that he and his son, Jack, salted the mine so that its wealth appeared greater than it actually was to attract investors. 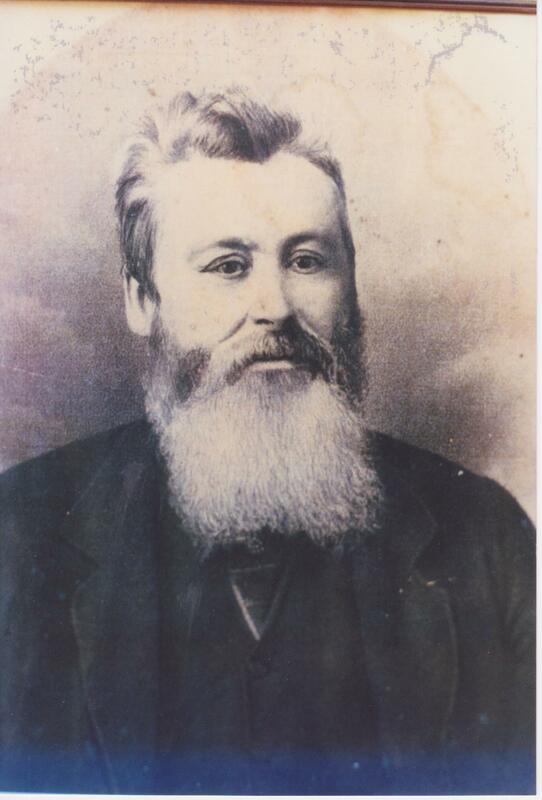 In 1889 John returned to the Hunter Valley to marry Mary Eliza Macfarlane and brought her north with him. There were no children of this marriage. 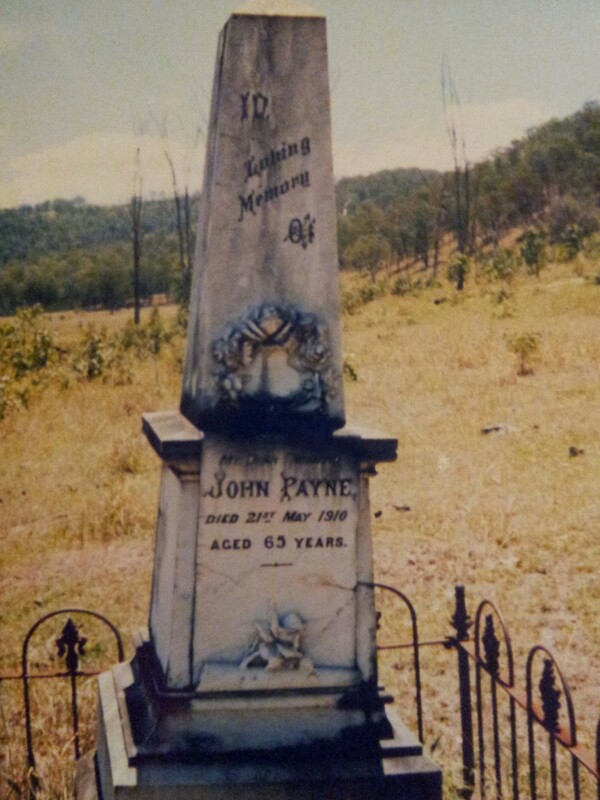 Big John died in 1910 and is buried at Flagstone near Tooloom. His widow ran the hotel for another ten years or so before she retired. 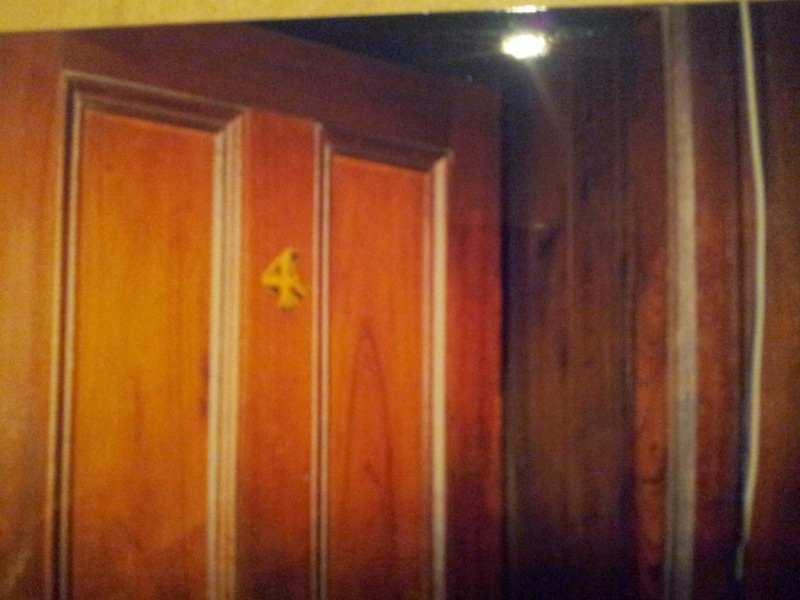 People say that John’s ghost haunts the old Tooloom Hotel, now a private residence. The more prosaic explanation is that it is the cedar which the walls are made out of creaking as the temperature changes.